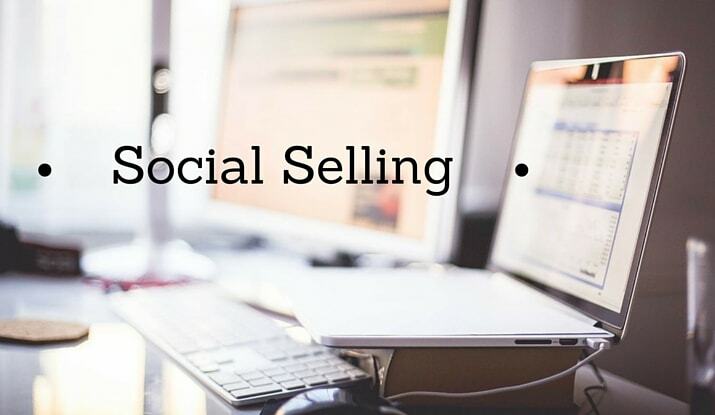 Are you a business that wants to master the art of social selling? Do you want to get LinkedIn Success? The best advice we can give you is this: if you want to generate a lot of social selling bites, you have to throw in your lure where the fish are actually swimming. LinkedIn’s large number of business peers make it the best place for social selling, B2B or otherwise, and when you know how to get those people to pay attention to your sales tactics, you’ll win the game of social sales. If you want to continue using fishing metaphors, one of the biggest problems associated with missed connections in the social sales world is that businesspeople don’t know and understand what an actual nibble is. They jump at the chance to send point of sale emails to everyone they can think of, and this comes off as desperate. Instead, try to connect when one of these 30 social sale triggers is pulled. Someone views your LinkedIn profile. You receive a “LinkIn” invitation. These are all very straight forward. This shows you that someone is interested in you, if even for just a glimpse. Keep yourself in their mind by sending out a message and initiate a potential sales situation. Your contact changes a job. Your contact has a birthday. Your contact has a work anniversary. Your contact is mentioned in the news or in industry channels. Your contact updates their profile information in a way you can comment on. When you see that someone is active and willing to use LinkedIn regularly, you know they’ll be paying attention to your messages. This information change may also means they’re now in a position to listen to your advice and social sale information. Someone likes your LinkedIn blog post. Someone shares your LinkedIn blog post. Someone comments on your LinkedIn blog post. This is another set of notifications that explain themselves. When a potential customer engages with you, engage back. They’re interested in you enough to like or share your post, so use this as conversation starter – then shift to your social sale tactics. Your daily update gets a like. Your daily update is shared. Your daily update is commented on. Another lower key version of some above social sales triggers. Keep interested peers interested by remarking about their liking, sharing and commenting. Your group post is liked. Your group post is commented on. A group member makes a comment within the group. Groups are great social sales breeding grounds. You know that those around you in a group are interested in the mutual group interest, so use that as an in for social selling. This can be a great way to start getting leads and networking threads started. You’re endorsed for a skill. You’re recommended by a contact. When you have an opening to ask for a recommendation from someone else. You get invited to join a LinkedIn group. A shared group member reaches out to you. These direct methods of engagement are the loudest form of in-direct interest. Someone’s telling you that they’re liking what you’re doing – so use it to your advantage! A contact’s contact likes your LinkedIn update post. A contact’s contact comments on your LinkedIn update post. A contact’s contact shares your LinkedIn update post. Your contact writes their own LinkedIn blog post. LinkedIn’s People You May Know features a contact that is familiar with someone in your own network. Don’t limit your contact social sales to just your inner circle – use a “six degrees of separation” approach and look through your own contact’s contacts for potential customers. You can also use your linked contact as a buffer. If they can vouch for you, you’ve got a great in. Here’s the general golden rule to follow with social sales – any form of engagement is a potential in. When a potential customer directly connects with you, you’re faced with an opportunity for a social sales transaction. The trick is to not seem desperate and jumpy. When presented with any of the above options, you have to react in a natural way. While those on LinkedIn are all business peers, you have to be aware that this can work against you. They know all the tricks and strategies, and they know when they’re being played. Be genuine. Don’t initiate a social sales interaction just to get a “maybe” out of somebody. You’ve got to have a genuine reason for the interaction, or they’ll know you’re just trying to get as many bites as possible. Keep things natural. When engaging with a social sales contact on LinkedIn, remember that you’re peers. Don’t be overly business-like about the exchange. Appeal to your contact’s mutual beneficial interests. If you consider the golden rule and these two sub-ideas you’ll do great, so get out there and make some sales!